The public outcry against Sesame Street was enormous, and got even worse when the show expanded its programming to little zombies and vampires. 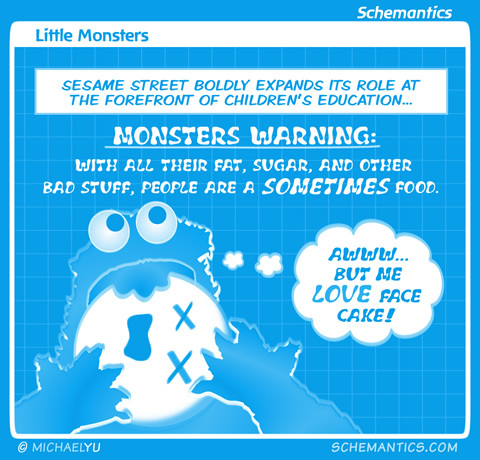 But little Cookie Monster's behavior is absolutely abominable: it should be "I love face cake," not "ME love face cake." Sesame Street seriously needs to advance from teaching the alphabet to ravenous monsters, to teaching proper grammar.